1h. 54min. 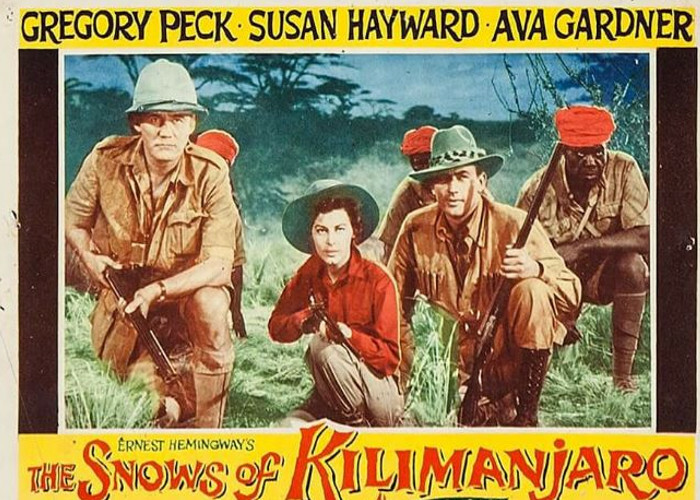 // Writer Harry Street reflects on his life as he lies dying from an infection while on safari in the shadow of Mount Kilamanjaro. 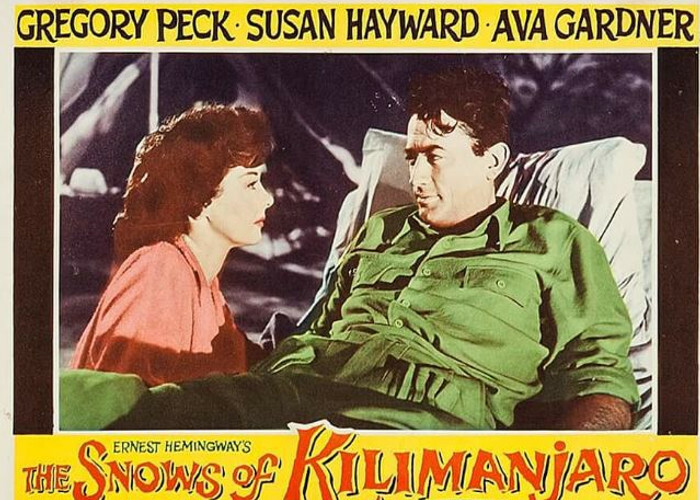 Starring: Gregory Peck (as Harry Street), Susan Hayward (as Helen) and Ava Gardner (as Cynthia Green). WON. National Board of Review, USA 1952. Top Ten Films. NOMINATED. Academy Awards, USA 1953. Best Cinematography, Color. Leon Shamroy. NOMINATED. Academy Awards, USA 1953. Best Art Direction-Set Decoration, Color. Lyle R. Wheeler, John DeCuir, Thomas Little, Paul S. Fox. NOMINATED. 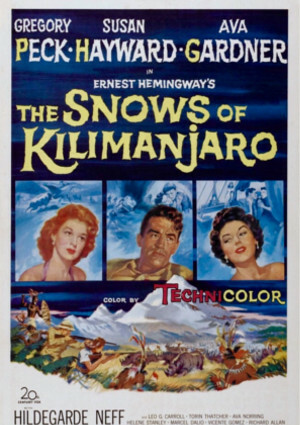 Directors Guild of America, USA 1953. Outstanding Directorial Achievement in Motion Pictures. Henry King.